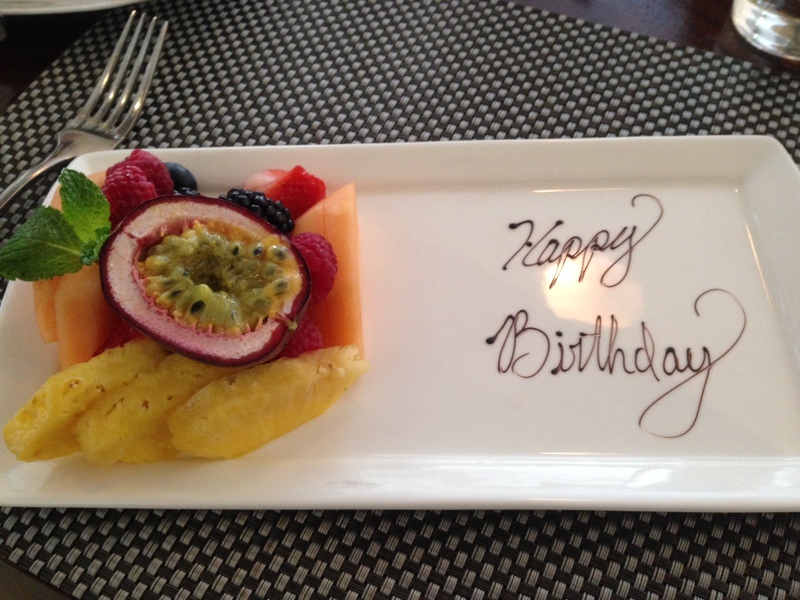 Three meals out, and three delicious and artful Happy Birthday treats. The first one, shown above, was courtesy of my boss, who felt bad that I had to attend a business breakfast on my birthday. Thank you Stephanie! 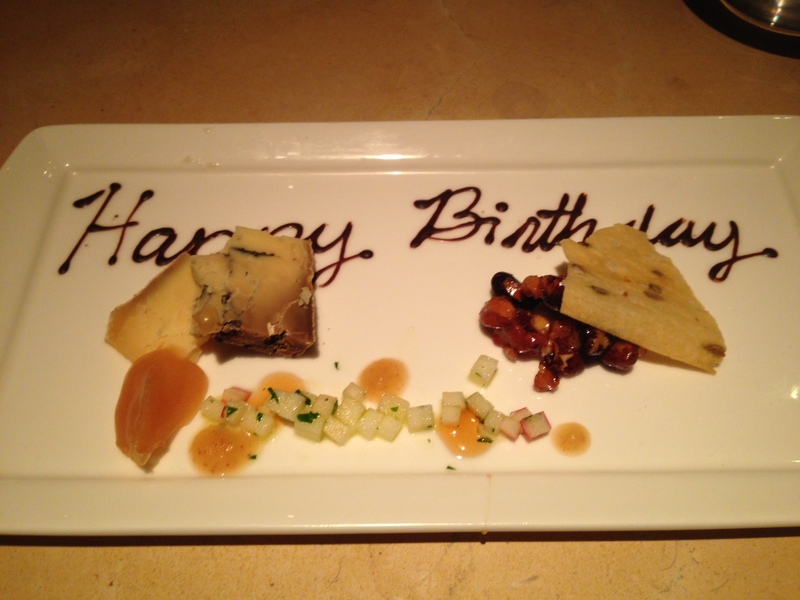 The second one – a delightful cheese tray – came courtesy of the fabulous Iron Gate Inn. I’ve had two meals there in the past three weeks, and it is quickly becoming a favorite. If you don’t believe me, read Tom Sietsema’s review in the Washington Post. 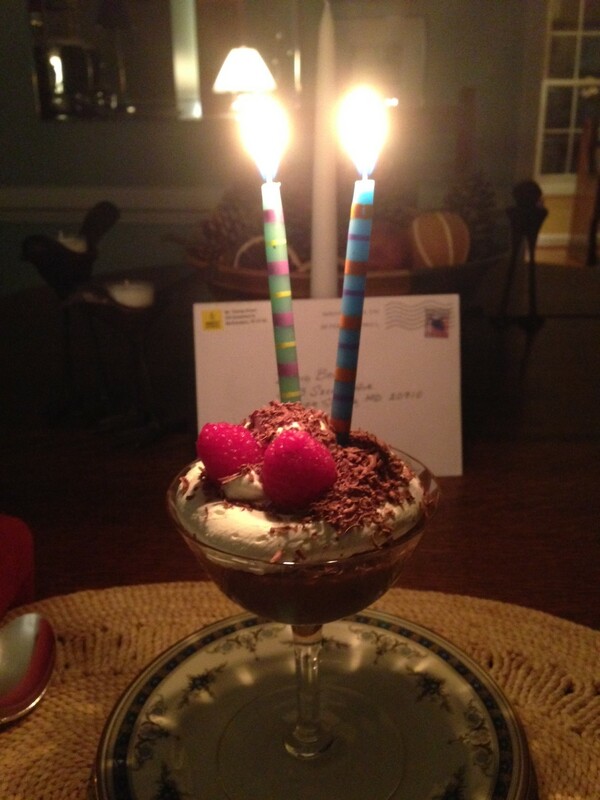 …was this fantastic chocolate bourbon mousse, topped with fresh whipped cream, shaved chocolate, and raspberries. This flavorful concoction was Candice’s creation. Thank you, my love! And with that, it is very appropriate that Lent begins tomorrow.